Your next flagship phone from Samsung (or another OEM) might have 6GB of RAM inside. 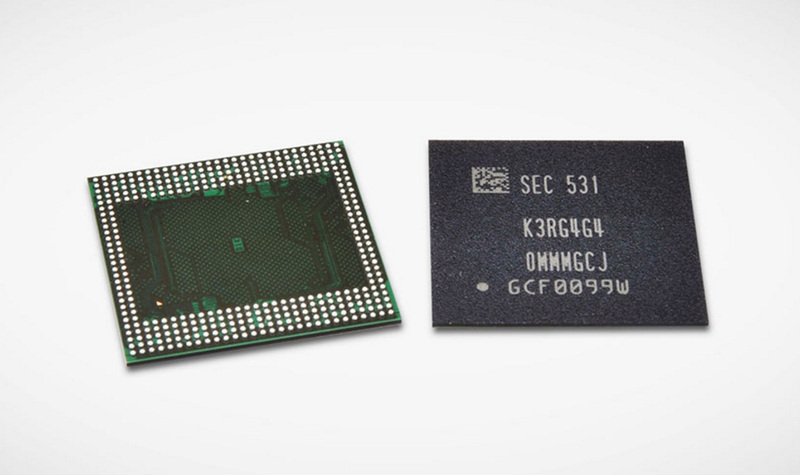 I know that you are still wrapping your brain around it having 4GB, but Samsung is ready to move beyond that mark through its first 12Gb LPDDR4 mobile DRAM based on its 20nm process. It’s new RAM is said to be 30% faster than its 8Gb RAM and twice as fast as DDR4 DRAM for PCs, “while consuming less energy.” When used in a single 6GB RAM package, Samsung says that it can fit in the same space used by a 3GB RAM package, so really, your next flagship will probably have 6GB RAM. That’s just nuts. Mass production for this new 12Gb RAM has begun.